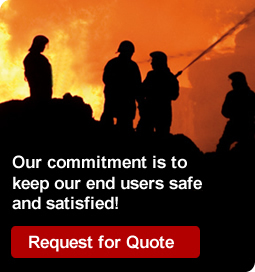 Fire Combat is known worldwide for designing, manufacturing and supplying customized industrial fire suppression systems. Fire Combat fire suppression systems utilize foam, dry chemical and other firefighting agents to suppress and extinguish all Class type fires. Our systems can be skid mounted, truck mounted, trailer mounted or component systems to meet the needs of fire truck OEM’s, industrial end users, fire departments, military, airports and Homeland security agencies. 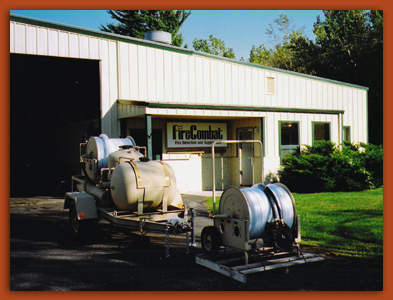 Established in 1979, located in Marinette, Wisconsin, Fire Combat has grown to become an industry leader in the fire protection industry. In 1998 Fire Combat became a division of Sensor Electronics Corporation. Plain and simple... Our commitment is to keep our end users safe and satisfied! Life safety equipment is our only product. In the event of an emergency, our products are reliable and ready to be deployed at a moment’s notice. Fire Combat has the in house engineering expertise to design and manufacture specialty apparatus to fit the ever changing requirements in the fire suppression industry. A fire suppression specialist is waiting to discuss your application. Contact us today.